We had already identified this door, with its wood frame and grid of beveled-glass windows, as a potentially great photo op, and had even created a few posed photos of the bride and groom posed by it a bit earlier. 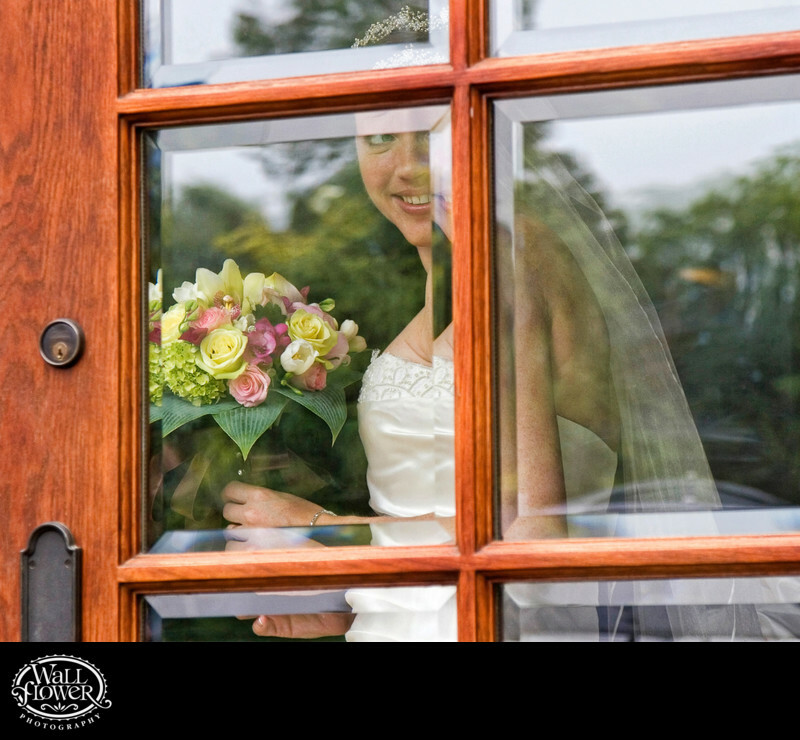 However, it's this candid photo of the bride peeking through the windows that we liked the best! The wedding took place at the ritzy Broadmoor Golf Club in Seattle.